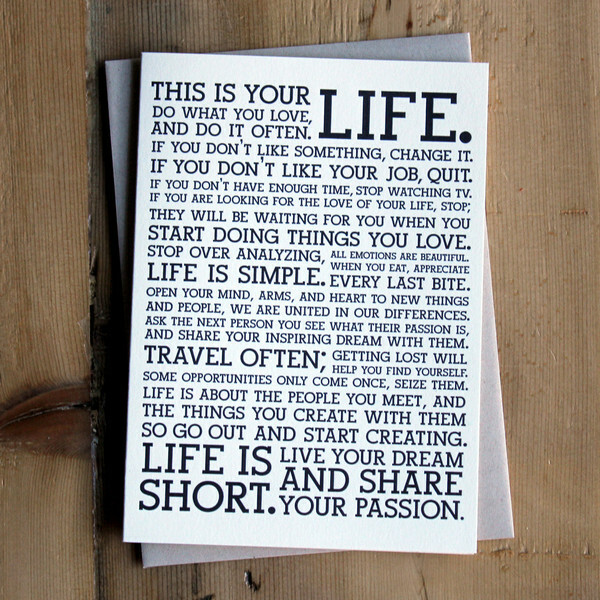 Joe and I love The Holstee Manifesto – a framed copy hangs in my apartment here in Fairlight, Sydney. It speaks to everything we believe in with the fundamental premise that Life Is Short. From a few seemingly simple lines come very strong messages that resonate powerfully. One could say that “Life is about the the people you meet, and the things you create with them so go out and start creating” is the foundation of why we’re building Joe’s Basecamp. For me it’s about giving other people the confidence to do things they didn’t think they’d ever do, to begin and relish a journey of ‘Wow, I just did that’. The message contained in this simple poster needs no further explanation, it does a brilliant job of speaking for itself.